Dancing Gratitude is about gathering friends, new and familiar, to dance what we are grateful for. We dance on our magical powder white beach, Siesta Key, with the ocean waters of the gulf. We use brilliantly colored silk veils, which invite strangers to join in and celebrate with us. Dancing Gratitude for me is about shifting Humanity's Consciousness from coming together in crisis and pain. Instead we come together in Celebration of Life in all its forms. I invite anyone and everyone to join us. 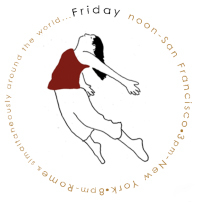 Or, if you aren't in our area, I invite you to start your own Gratitude Dance locally in your area. What are you grateful for? My Dear friend Ann Paquin, first introduced me to this idea a few years ago. 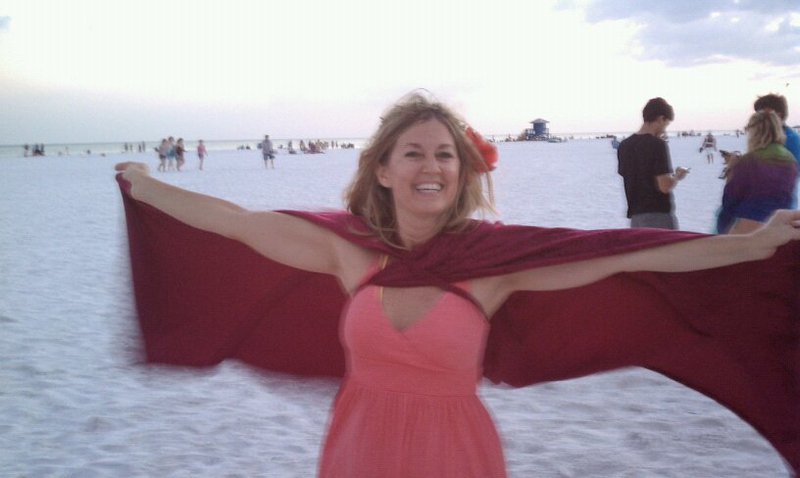 Last year on Election Day, November 6th, I began my own 40 Days of Gratitude Dancing on the beautiful white sands of Siesta Key Beach. Each morning, I began dancing at 9am and danced at least for an hour, rain or shine. As a result, I met many beautiful people, some who danced with us, some who simply watched. I am sure there are pictures posted on Facebook and all around the world that I have not seen. I am grateful to my dear friend Ann, to all my dear friends who showed up during my process and all the new friends I met along the way. So many people commented on how the veils and the dance lifted and even healed their hearts and made their journeys special. I invite anyone to share their story/experience here.